This is really hard to use and hard to apply. Like the others before it, this is a really streaky polish! Make sure you use minimal brush strokes and have plenty of polish on the brush. It is mega quick drying though (less than 20 seconds a coat!!!!!). It is really pretty colour though and I do like the finish a lot. Lasted well. My Personal Rating = 7/10 :-) despite the formula issues I really like this polish! It looks awesome, but application seems to be a pain in the neck. Too bad about the formula! 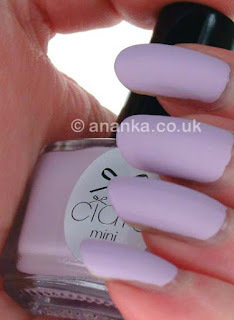 I'm not so happy with my Ciaté polish either :/ The colour of this one is gorgeous though! Th packaging is really cute, but the polishes are not my colours. 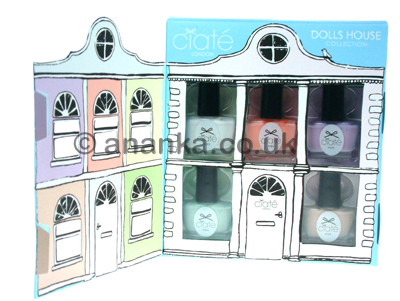 Ops, by the way I've been to TK Maxx yesterday and I resisted buying the Ciate Nail Lab and calender, which had both been available ;o).